Crown Brakes are leading Exporter and manufacturer of Truck Brake Pads. Crown Brakes is leading Manufacturer , Exporter of Truck Brake Pads. 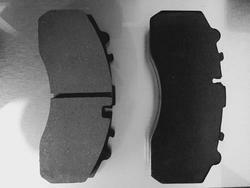 We are recognized as a successful manufacturer of Truck Brake Pads in the market at the present scenario. When the brakes are hydraulically applied, the caliper clamps or squeezes the two pads together into the spinning rotor to slow/stop the vehicle. When a brake pad is heated by contact with a rotor, it transfers small amounts of friction material to the disc, turning it dull gray. They convert the kinetic energy of the vehicle to thermal energy by friction. Two brake pads are contained in the brake caliper with their friction surfaces facing the rotor. 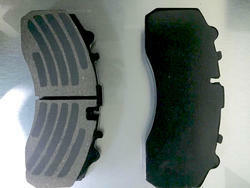 We have truck brake pads for commerical vehicles. 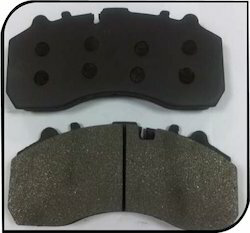 Looking for Truck Brake Pads ?